PALMDALE – The city of Palmdale’s Joe Davies Heritage Airpark at Palmdale Plant 42, located at 2001 Avenue P, has announced its extended summer hours for 2018. From June 1 through Aug. 31, the Airpark will be closed on Mondays; open Tuesdays through Thursdays from 10 a.m. to 2 p.m.; and open Fridays through Sundays from 9 a.m. to 2 p.m., excluding major holidays and inclement weather. New for 2018 are the Twilight Tours, which will take place on June 21, July 19 and Aug. 16. The Airpark will be open from 4:30 to 9:30 p.m. with guided tours provided at 6, 7 and 8 p.m. Picnic tables and BBQs will be available on a first-come, first-served basis. “Bring your families, friends and out-of-town visitors to see an amazing display of aircraft which reflect Palmdale’s amazing aerospace heritage,” said Palmdale’s Director of Recreation and Culture Keri Smith. 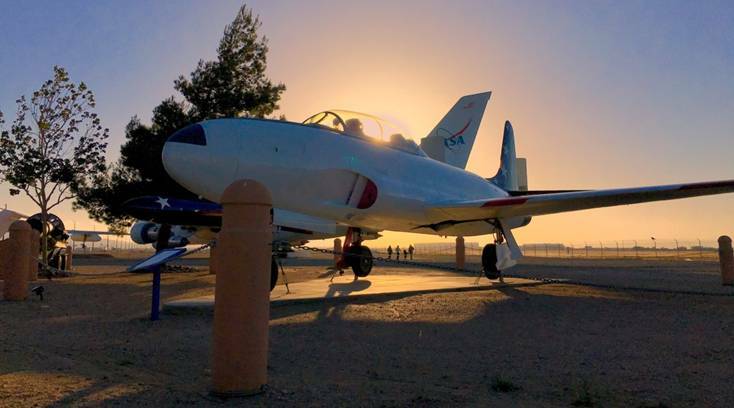 Joe Davies Heritage Airpark at Palmdale Plant 42 is a family-friendly destination centered around displays of aircraft that portray aerospace heritage. Visitors to Joe Davies Heritage Airpark may view a collection of aircraft flown, tested, designed, produced or modified at United States Air Force Plant 42. The airpark includes 21 retired military aircraft on static display, plus a 1/8 scale model of the B-2 Spirit, an AGM-28 Hound Dog Missile, a B-52, a C-46, and various aircraft components. When fully developed, the airpark will showcase more than 40 retired military and civilian aircraft. For more information, visit www.cityofpalmdale.org/airpark. 2 comments for "Extended summer hours announced for Joe Davies Heritage Airpark"
Every time we go by, the kid always scream, “MOMMY-MOMMY-MOMMY! STOP ‘N SEE THE AERO-PLANES! PLEASE-PLEASE-PLEASE?” No use trying. The place is always closed. Here’s a simple suggestion, Wai Ying. Drive by when it’s open. They’ve got these things these days called computers and smart phones. I know you won’t believe this, but if you use a search engine like Google or Yahoo, you can find out when it’s open. Then you can drive by with your kid and become a hero, rather than a dolt.